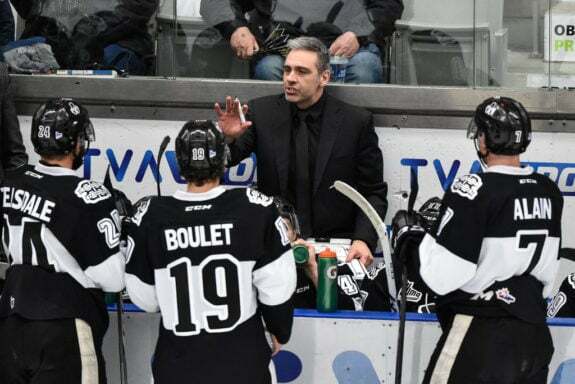 The hiring of Joel Bouchard as the new coach of the Montreal Canadiens’ AHL affiliate, the Laval Rocket, is the first big move of the team’s offseason. As the saying goes “It takes a village to bring up a child” and the lack of success in the Habs’ ability to develop new talent from their farm system has been glaringly apparent with a few exceptions. Defensemen Noah Juulsen and Victor Mete might both crack the lineup next year — their skill set is solid and both spent time in Laval — but there was a need for a coach that understood the mindset of kids and veterans, and one who could instill confidence in fans and the media. Bouchard is a great fit. He was named QMJHL coach of the year this past season and has experience as a general manager, organizational skills that suggest he can discover and manage talent. The upcoming season is pivotal in the Canadiens’ attempt to revamp their lineup. In addition to the number three pick in the June NHL Draft, they have four second-round picks. In the recent past, this meant finding players like P. K. Subban and Artturi Lehkonen — and one should be reminded that players like Brendan Gallagher and Tomas Plekanec were selected in later rounds. While you can expect a player like Filip Zadina to move straight into the Habs’ lineup, most second round picks spend some time in a team’s AHL affiliate before receiving the call. This is where Bouchard’s skill at handling young players is pivotal. Much like the proximity of the new Laval franchise to the big club, Bouchard’s relationship with Marc Bergevin is important. In their first press conference it was clear the two men respect each other. Both men are Montrealers, both were NHL defensemen, and both spent time with the Pittsburgh Penguins during the Mario Lemieux era. In effect, the local pedigree has not been this strong since the days of Scotty Bowman. At this point it’s worth talking about why local representation in upper management is important. Montreal has only two local players in Jonathan Drouin and Nicholas Deslauriers. Both have made the transition to playing for their hometown with relative ease, and while Deslauriers is becoming a fan favourite for his enthusiasm and hard nosed play, Drouin has picked up the mantle left by P.K. Subban and has become a local philanthropist. While Deslauriers and Drouin probably understand this city a bit better than their teammates, they still play in the biggest fishbowl in the NHL. Hockey here is a religion and, with the exception of the Montreal Impact, the Montreal Canadiens are the only team to represent a major league sport. Players in other cities often remark about how easy it is to be a professional hockey player as the media coverage is either divided among several teams or hockey is just not as much of a priority in people’s lives. Montreal is different. With twenty-four Stanley Cups and a reputation as a storied franchise, many are old enough to remember the glory days when parades down Ste Catherine St. Victories weren’t just wished for, they were expected, and players were quickly elevated to the status of local gods. Former Hab Dale Weise was surprised to be recognized in an elevator his first week with the team. Other players know their reputation can change with each game, as a missed pass or turnover is judged harshly by local sportswriters and broadcasters and digested quickly by fans before the next game. How Will Joel Bouchard Make an Impact? You can expect Bouchard to have an impact on the team immediately. His success with the Blainville-Boisbriand Armada is evident. An 84-37 record over the past two years hits a sweet spot. He is fluently bilingual and has the positive outlook and winning attitude that is already convincing fans he can bring success to a franchise that is desperate for it. 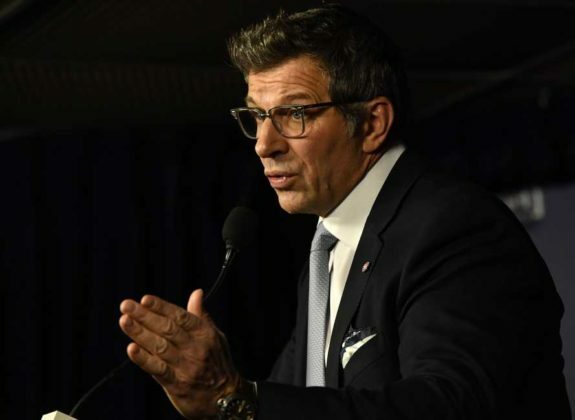 He is instantly likeable, speaking with confidence in both English and French and stresses professionalism and the delicate way a coach needs to handle both AHL veterans and young players. He’s also not afraid to tell people he’ll be tough and will give respect only if it’s returned. He’s even open about his potential bromance with Marc Bergevin. More importantly, the buzz around him is positive, in stark contrast to the man he replaced. 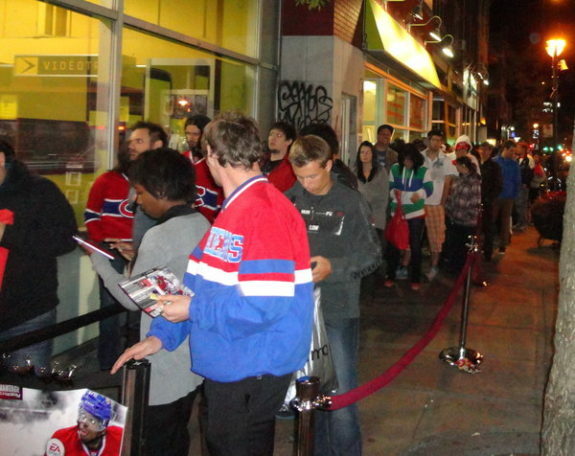 In many respects, fans became too impatient with Sylvain Lefebvre after several losing seasons with the Rocket and their predecessors, the Hamilton Bulldogs and the St. John’s IceCaps. His legacy as a coach will be difficult to assess as he too was a victim of high fan expectations. One thing is certain — with this many high draft selections to choose from, Bouchard will be working with a very different team. His first priority will be to help the new look Rocket players deal with pressure. If Montreal is a fishbowl then Laval is the pet store selling the fish — their potential transition to their next home will have to be handled delicately.